Aircraft Owners and Pilots Association of Australia (AOPA) president Marc De Stoop has presented the federal government with a nine-point plan to support and revitalise the nation’s general aviation (GA) sector, including proposed changes to the nation’s aviation safety regulator and the privatisation of Airservices. 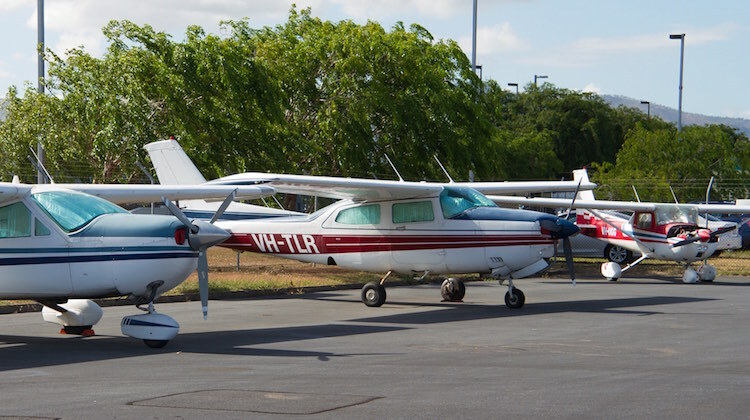 The reforms are outlined in brief to government called Project Eureka and aim to turn around a once flourishing GA sector AOPA says is slowly dying and “collapsing under the weight of regulation”. “AOPA is making what to us is seen as a last stand against inappropriate government industry regulation that has decimated our once thriving GA industry,” AOPA Australia president De Stoop said in a letter to federal Minister for Major Projects, Territories and Local Government Paul Fletcher. AOPA said previous dealings with CASA and Airservices, as well as the Department, had gone nowhere, with these bodies failing to understand the “commercial implications of their policy agenda”. Part of AOPA’s proposed reforms include changes to the Civil Aviation Act that require regulators to take into account of “industry viability, efficiency and sustainability”, and for the Civil Aviation Safety Authority (CASA) to be renamed the Civil Aviation Authority and be absorbed back into the Department of Infrastructure and Regional Development. “CASA has proven unable to regulate without impacting commercial viability,” AOPA said. There were also calls to enforce rules that provided security of tenure for aviation businesses at airports, for the adoption of a US-style suite of regulatory rules to replace the current Civil Aviation Orders and Regulations, for the reintroduction of TAFE funding to boost aviation apprenticeships and the harmonisation of medical certification for recreational and GA private pilots for all recreational aviation aircraft (those weighing less than 5,700kg). AOPA, which has 2,600 members and aims to represent the general aviation sector, also called for Australia to follow the US timeline of implementing ADS-B (Automatic Dependent Surveillance Broadcast), and changes to ASIC (Aviation Security Identification Card) requirements. To help pay for these and other initiatives, AOPA called for the the nation’s air traffic manager Airservices, which it described as an “underperforming Australian public asset” to be sold and the proceeds used to set up an industry trust fund. “This capital is needed to re-invest and innovate general aviation business; to fund new technologies, university research and development; and to create long term, high value-added jobs,” AOPA said. This government does not even consider having a fast internet service to be desirable. They probably won’t be too worried about GA. The proposal to sell off Airservices ignores the historical failures of privitisation to benefit anyone except the business owners. Look at how many of the “private education providers” who’ve gone bankrupt since the last election. The thought of ATC and firefighting going bust and needing a bailout should give even the most rabid idealogue some pause.